Today is the presentation of the first LP of Afrocream, “Afrosygentrosi”. 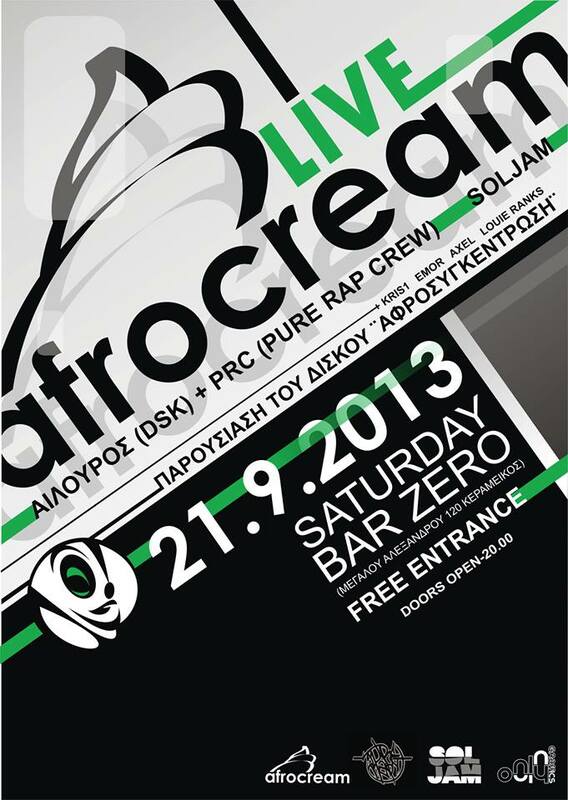 I invite you all to “Bar Zero” (Megalou Alexandrou 120, Keramikos, Athens) at 20:00. The entrance is free, but there is an optional box in case you want to support the band – If you like what you hear, you can leave a tip for the band. Guests in the presentatiin will be pretty much everybody that is featured in the album. Krisone from Flowjob, Mr Emor and Axel from 6ria and Louie Ranks from Fundracar), along with Ailouros (DSK) & PRC (Pure Rap Crew) and Soljam. For everyone that wonders why I publish this on my blog, a few weeks ago I joined the band as a permant member, and this is my first official live with the band (even though I supported them in the past – but not as a member). Check this music video for a demo song of Stonemouth. The video editing is mine.